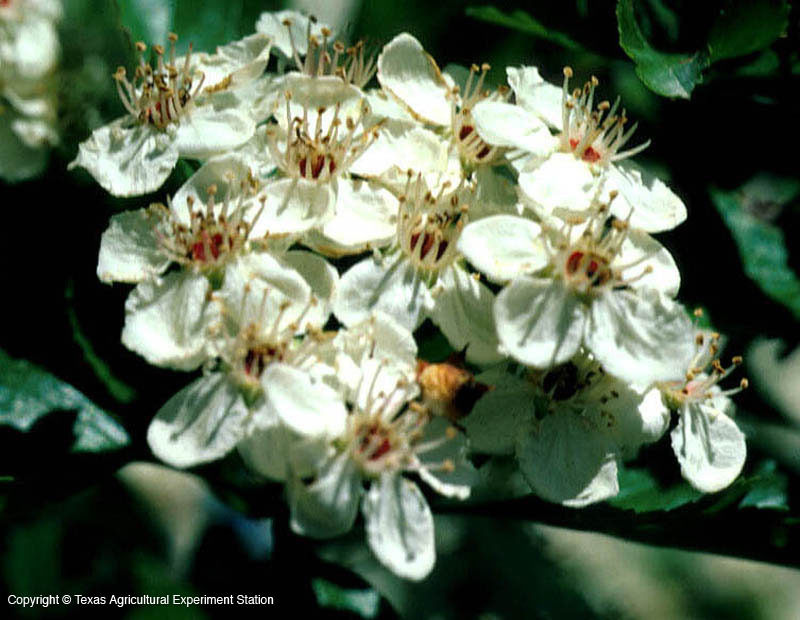 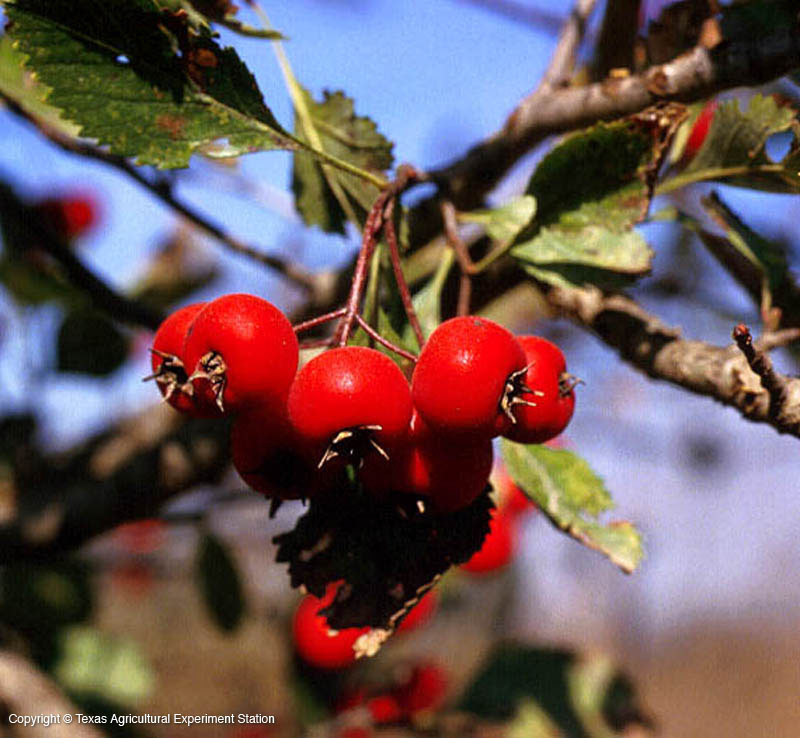 Green hawthorn grows on widely different soils and rainfall areas over the eastern two thirds of Texas. 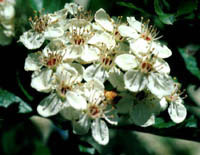 It height ranges from shrub-size in the western part of its range to 35 feet in the eastern. 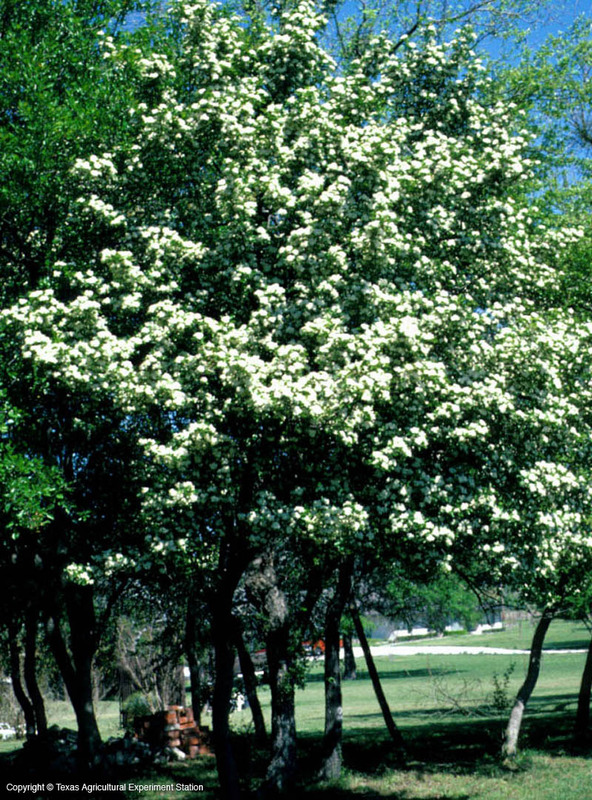 Its bark is smooth and light grayish tan and the tree is usually thornless, although it may have small slender thorns.